Witness the True Clean Experience today. Providing an extensive range of house cleaning services Greensboro NC communities can benefit from our stringent work ethic and incredible attention to detail. The success of our company cleaning solutions is owed to our authentic military style cleaning. We provide every client VIP cleaning services ensuring a thorough job and a fresh sparkling clean result each and every time. It is our goal to provide the True Clean Experience for your household ensuring only skilled personnel and quality products are incorporated in every undertaking. With TCE cleaning services Greensboro NC you can take advantage of the assistance provided by the best cleaning company in the industry. What is your largest personal tangible asset? For many of us, it’s our homes. Leave your largest asset in good hands. Hire a house cleaning service you can trust. A professional house cleaning service with appropriate licenses, insurances, and bonding. 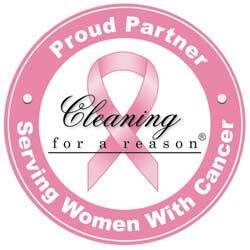 True Clean Experience has been providing house cleaning services in the community for over 5 years. When you hire TCE Cleaning you get house cleaners that have been carefully vetted, love their jobs, and care about you and your home. We understand the importance of having a janitorial service that displays flexibility as well as assisting you in handling any last-minute or long term requests. We have a goal to offer your company the most professional janitorial services along with the support which will exceed your expectations, while offering a hygienic and clean environment for your employees and customers, regardless of your industry or the size of the facility. For the best Janitorial Service, you can trust, call the professionals at True Clean Experience today. Office managers, facility directors, and business owners, what is your largest asset? If you answered it’s your time then you are not alone. True Clean Experience’s Commercial Cleaning services take the cleaning off your hands and allow you to focus your time on building your business or doing your job. Having a commercial cleaning company will ensure you have clean office and commercial building spaces in order to benefit, everyone. Use the professional commercial cleaning services of True Clean Experience to ensure your office and commercial spaces are clean so you can make great impressions on your clients and your employees will be more productive. True Clean Experience is your trusted veteran owned and 5-star cleaning services ready to serve your home. As a leading housecleaning company, we specialize in only the best for all your residential maintenance needs. We provide whole house cleaning with only trained, experienced and trustworthy staff. It is our goal to provide the True Clean Experience for your household ensuring only skilled personnel and quality products are incorporated in every undertaking. With TCE cleaning services Greensboro NC, you can take advantage of the assistance provided by the best cleaning company in the industry. From housekeeping hiring to janitorial contracts, we have done it all! Rated as the best cleaning company, we believe that house cleaning contracts should be flexible and customized to meet your needs. We perform a variety of private cleaning services military style! As a veteran-owned business, TCE Cleaning understands the importance of dedication, hard work, and ethical practices. Our core values and commitment have contributed to our unique whole house cleaning procedures. When it comes to home and commercial cleaning, we can do it all! Our team is tougher than even the toughest of dirt and grime! Take advantage of our professional maid service. True Clean Experience is known for the best maid service in Greensboro and High Point. When you need dependable local maid service, call on us and we can assist with the availability of our professional and skilled team. With reliance on our private cleaning services, it becomes easier to keep your home and business free from clutter, dirt, and dander responsible for allergies, respiratory irritation and the degradation of furniture. Our top-rated cleaning solutions create dust-free surfaces, shiny floors and thoroughly clean home or business you can be proud of. Did you know a clean house can actually benefit your mental health? Psychology Today found that those who kept their house clean were more active, felt less stressed, and had better physical health than those who did live in a messy, cluttered home. The house cleaning professionals at True Clean Experience in Greensboro will thoroughly, professionally, and safely clean your home. The house cleaning team at True Clean Experience will customize their services to meet your needs. Their deep cleaning services will get rid of all dirt, dust, and even clutter. Their high-powered vacuums have the ability to get all embedded dirt out of your carpets. Your home will be literally shining. The house cleaning pros at True Clean Experience believe strongly in using only Eco-Friendly products to clean your home. These products not only get rid of germs but also allow for healthier indoor air quality. Their Eco-Friendly cleaners are completely safe for children, adults, and pets. Tanisha, the owner of True Clean Experience understands the power a clean home has on someone’s life. She also is aware of how busy people are and how house cleaning duties can be forgotten due to lack of time. She hopes that her team can help you reclaim your life and allow you to enjoy your home again. The house cleaning reviews for True Clean Experience are overwhelmingly positive. Customers are very pleased with the attention to detail and service that the maids supply. They were impressed with the professionalism and the kindness of both the owner and staff. They also felt that the prices were extremely fair. To request a free house cleaning quote simply call, (336) 617-8100. A representative will visit your home and help give you a comprehensive quote. Together, you can decide how often you would like True Clean Experience to visit your home and for how many hours. Call today, you will be happy you did.